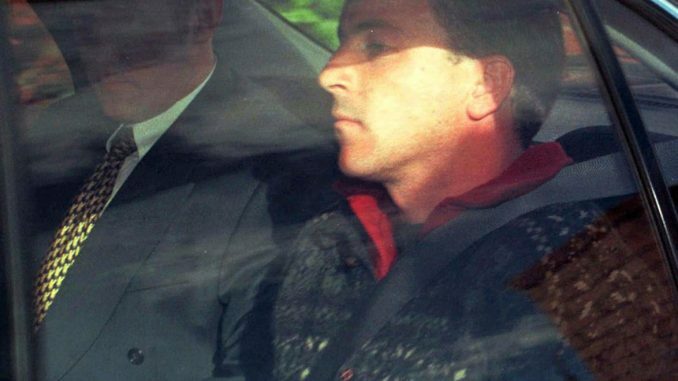 Senior members of the self-styled “Free Scott Watson” social media support group have made appalling comments accusing Olivia Hope’s grieving father of possibly being involved in her murder. The group, which today opened a hotline so the public could phone them on 0800 379 111 to offer advice and tips, has found the freephone line overshadowed by the scandal. G I think Gerald Hope has miled this for everything he can get out of it. I wouldnt trust him with a 40ft barge pole. There is no consistency with statements he has made over the years If you compared him to Doug Blakie in the Lisa Blakie murder. Doug has always been willing to go out for the perperatators and he wants justice, he knows Timothy was stsitched up by Pope and his mates. There s a clear message here watch your backs, and watch what you say to friends and famiily because you never know when this could happen to you. G Robyn Sullivan I think Gerald Hope is a coward, and he uses the cowards way to get what he wants in life at the expense of others including The Watson family. Investigative journalist Ian Wishart, who has written bestselling books on the Scott Watson case, says he is “absolutely sickened” at the mentality of people running the Free Scott Watson protest movement and says people need to decide whether they still want their names associated with it. “I’ve dealt with some of them this year and in my view there are some who come across as deranged conspiracy theorists. But to accuse Gerald Hope of being mixed up in Olivia and Ben’s disappearance is not just disgraceful – it absolutely sickened me when screenshots were brought to my attention this morning via a comment on the Stuff website. Wishart urged intelligent people who had joined the Free Scott Watson page because of the “misleading and factually incorrect” docudrama, to decide whether they wanted to still be associated with a group so divorced from reality that it’s accusing Gerald Hope of being involved in Olivia’s death. Morag McGoldrick Baillie Gerald Hope is a councilor, or was standing for council again? Not sure I have that right? Cath Ellis I followed the case quite closely back in the day and I felt Gerald Hope behaved suspiciously as father of Olivia and as a public figure – was he the mayor at the time? So yr comment really joins the dots for me having suspicions about him back then. Robyn Sullivan yes he was mayor at time Cath Ellis. What was his behaviour that you thought was suspicious? Robyn Sullivan hmmm…very dodgy…three possible conclusions: (1) Olivia hope is still alive, and possibly overseas. Or (2) Gerald Hope was not bonded to Olivia, possibly a remote father and not involved in her upbringing. Or (3) Gerald Hope is somehow involved in her disappearance and death and for some unknown reason was ok with it. All very bizarre and strange. Robyn Sullivan I think the man is hiding a lot of secrets. I base this only on what I’ve seen of him. But it’s a very strong impression. Dann Weedman I. Fact right from the very first time i listened to him speaking, i felt very uneasy..
Im of the opinion that he knows darn well that Scott is totally innocent……Im of the opinion that Pope and Gerald have a hidden secret regarding this Case. Bob Osborne Didn’t think he became Mayor until after the event and trail ? Robyn Sullivan no at time he wasn’t mayor. I’m reliably told he was elected at mayoralty elections which occurred soon after, on sympathy vote for his loss. Baz McKenzie There is something wrong with G Hope agenda. As far as I know he has all information on the case and still now he is unsure or has doubt. If it was my child I would be all out to get the truth and gain closure.Sitting on the fence most certainly wont achieve that .Is he incapable of seeing there is absolutely no evidence to convict Scott.